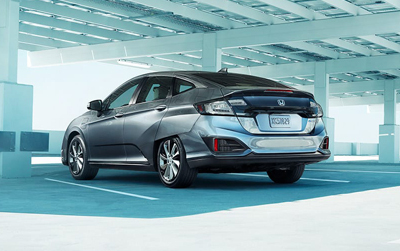 If independence from the gas pump isn’t reason enough to go electric, there are state rebates, HOV access eligibility and the convenience of less maintenance. Clarity Electric features Multi-Link Rear Independent Suspension, aerodynamic wheels and specially-designed tires that meld performance with efficiency. Clarity Electric is capable of DC fast charging, which allows for up to an 80% charge in only 30 minutes. Or plug in virtually anywhere – Clarity Electric is also Level 1 and Level 2 capable. 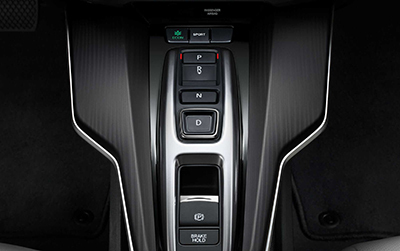 The driver interface displays easy-to-read info including battery status and four levels of regenerative braking which are controlled by the Deceleration Selectors. The Energy Management System Display is shown in high resolution on the Display Audio Touch-Screen and illustrates in real time the energy flow to and from the batteries and electric motor. 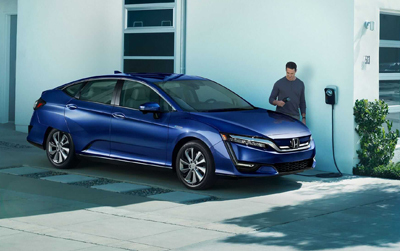 There are thousands of EV charging stations throughout California and Oregon to help extend the daily range of Clarity Electric. 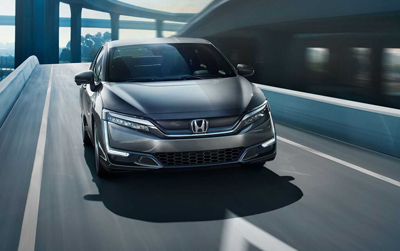 Find them with the HondaLink® app and PlugShare. 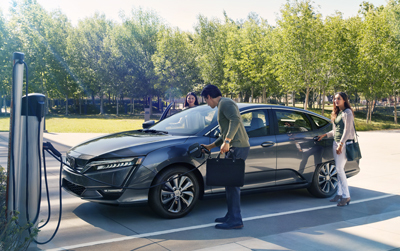 HondaLink® lets you pre-set your cabin temperature, set a charge timer, check battery charge status, estimate driving range and find nearby EV stations. Apple CarPlay™ lets you focus on the road while accessing your music library, directions and audible text messages through your linked iPhone®. 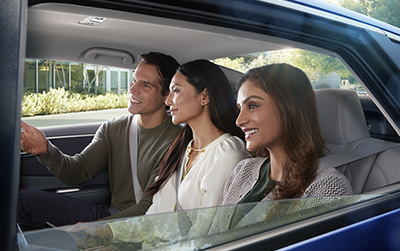 Android Auto™ connects to your compatible Android phone for destinations, appointments and even the weather. Get where you’re going with clear, real-time navigation that includes 3D renderings of terrain, buildings, road signs, lane guidance and a live search function. 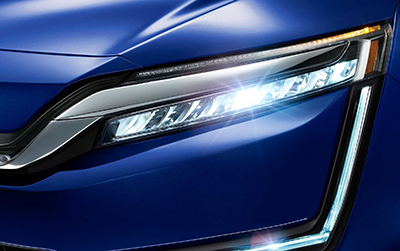 Unique LED Headlights with Auto-On/Off provide exceptional visibility and an unforgettable light signature that is unlike anything else on the road, day or night. The generous trunk space and 60/40 Split Folding Rear Seats give you room for gear, groceries or whatever else you need for the day or a quick trip. 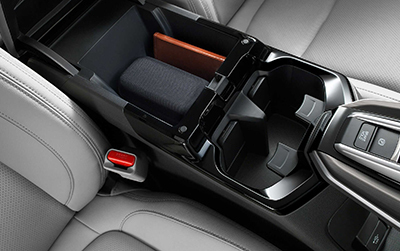 Because of strategic placement of the batteries, Honda engineers were able to design a trunk that offers a roomy 14.3 cu. ft. of space. The Clarity Electric offers creative storage to stow your belongings—from smartphone pockets to innovative cupholders—and a spacious center console. 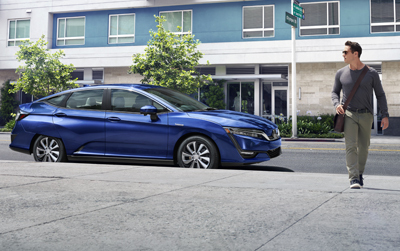 Every Clarity Electric comes equipped with Honda Sensing®, an intelligent suite of safety and driver-assistive technologies designed to assist and help protect you and your passengers. 89 mile combined driving range rating. Ratings determined by EPA. Your range will vary depending on driving conditions, how you drive and maintain your vehicle, battery-pack age/condition, and other factors. 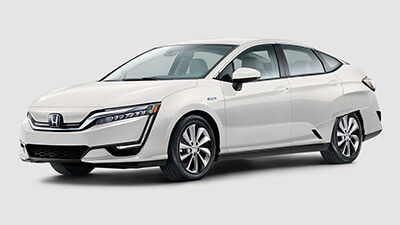 For additional information about EPA ratings, visit http://www.fueleconomy.gov/feg/label/learn-more-electric-label.shtml  Subject to availability beginning May 10, 2018 to California and Oregon residents on approved credit through Honda Financial Services. 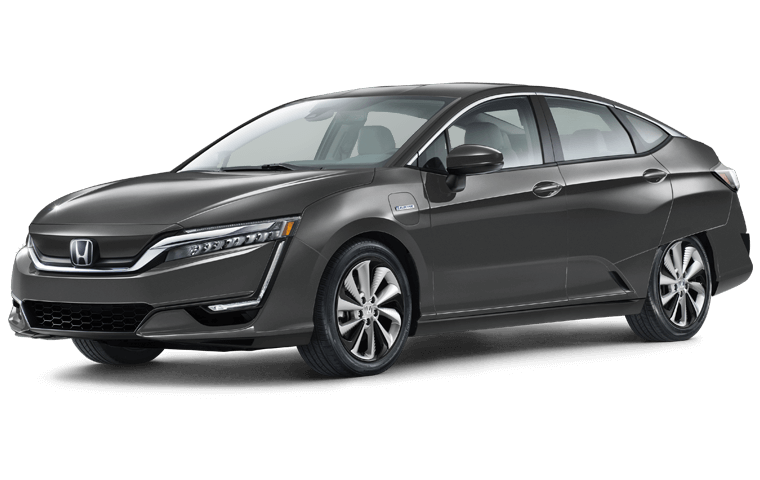 Closed end lease for 2018 Honda Clarity Electric for well-qualified lessees. Not all applicants will qualify. No purchase option at lease end. Total monthly payments $7,164. Lessee responsible for maintenance, excessive wear/tear, and 20 cents per mile over 20,000 miles per year. Lease includes Roadside Assistance. Total due at lease signing is $1,499 plus tax and registration and includes first month’s payment and down payment of $1,300. Offer ends October 31, 2018. 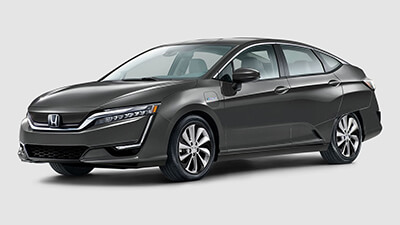 Please see your authorized Honda Clarity dealer for complete details. Accessories sold separately. Compatible DC fast charging stations may not be immediately accessible in all areas. 161 hp @ 4000-9500 rpm, 221 lb-ft @ 0-3500 rpm. CMBS cannot detect all objects ahead and may not detect a given object; accuracy will vary based on weather, speed and other factors. System operation affected by extreme interior heat. System designed to mitigate crash forces. Driver remains responsible for safely operating vehicle and avoiding collisions. LKAS only assists driver in maintaining proper lane position when lane markings are identified without a turn signal in use and can only apply mild steering torque to assist. LKAS may not detect all lane markings; accuracy will vary based on weather, speed and road condition. System operation affected by extreme interior heat. Driver remains responsible for safely operating vehicle and avoiding collisions. 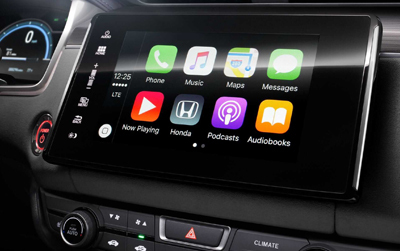 Apple CarPlay is a trademark of Apple Inc.  Android, Android Auto, Google Maps and Google Now are trademarks of Google Inc.  Honda recommends the use of a dedicated 120-volt GFCI outlet tested for use by an electrician. 240-volt charging time is measured from initial illumination of the low state-of-charge indicator, not from full depletion. For more information on alternative-fuel cost savings, visit fueleconomy.gov. The High Occupancy Vehicle (HOV) sticker can be applied for through the California Department of Motor Vehicles. Once installed, you may use designated HOV lanes, even if you’re driving alone. Stickers valid through January 1, 2019. ZEV (Zero-Emission Vehicle) model as certified by the California Air Resources Board (CARB). Always visually confirm that it is safe to drive before backing up; the rearview camera display does not provide complete information about all conditions and objects at the rear of your vehicle. Display accuracy will vary based on weather, size of object and speed, and the display may not show all relevant traffic. The display is not a substitute for your own direct visual assessment of traffic conditions before changing lanes. HomeLink® is a registered trademark of Gentex Corporation. The Bluetooth® word mark and logos are owned by the Bluetooth SIG, Inc., and any use of such marks by Honda Motor Co., Ltd., is under license. 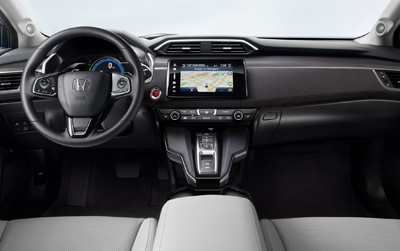 The Honda Satellite-Linked Navigation System™ is standard in the United States, Canada and Puerto Rico. (Honda HD Digital Traffic service only available in the United States, except Alaska). Please see your Honda dealer for details. SiriusXM services require a subscription after any trial period. If you decide to continue your SiriusXM service at the end of your trial subscription, the plan you choose will automatically renew and bill at then-current rates until you call SiriusXM at 1-866-635-2349 to cancel. See our Customer Agreement for complete terms at www.siriusxm.com. Fees and programming subject to change. XM satellite service is available only to those at least 18 years and older in the 48 contiguous United States and D.C. ©2017 SiriusXM Radio Inc. Sirius, XM and all related marks and logos are trademarks of SiriusXM Radio Inc.  HD Radio is a proprietary trademark of iBiquity Digital Corporation. Pandora, the Pandora logo, and the Pandora trade dress are trademarks or registered trademarks of Pandora Media, Inc. Used with permission. Compatible with select smartphones. See: www.pandora.com/everywhere/mobile. Not all devices compatible with USB connection. Your wireless carrier's rate plans apply. Honda reminds you and your passengers to always use seat belts and appropriate child seats. Children age 12 and under are safest when properly restrained in the rear seat. Specifications, features, illustrations and equipment shown in this flyer are based upon latest available information at the time of printing. Although descriptions are believed to be correct, accuracy cannot be guaranteed. American Honda Motor Co., Inc., reserves the right to make changes at any time, without notice or obligation, in colors, specifications, accessories, materials and models. Some features mentioned herein are not available in all areas. 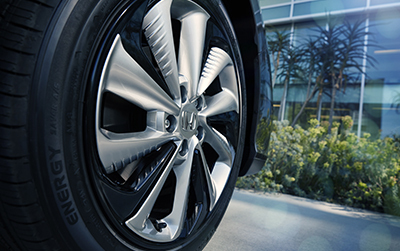 Please see your California or Oregon Honda dealer for details. Some vehicles may be shown with optional equipment. Available = Optional.